I have stumbled upon a much easier, equally as tasty substitute for risotto – orzo. I must admit that my orzo exposure has been limited to (cold) salads, but I decided to branch out the other night in an attempt to replicate my favorite flavors of risotto without the 30 minutes of stirring. It was a success! This is definitely weeknight friendly, and was the perfect compliment to shrimp scampi. 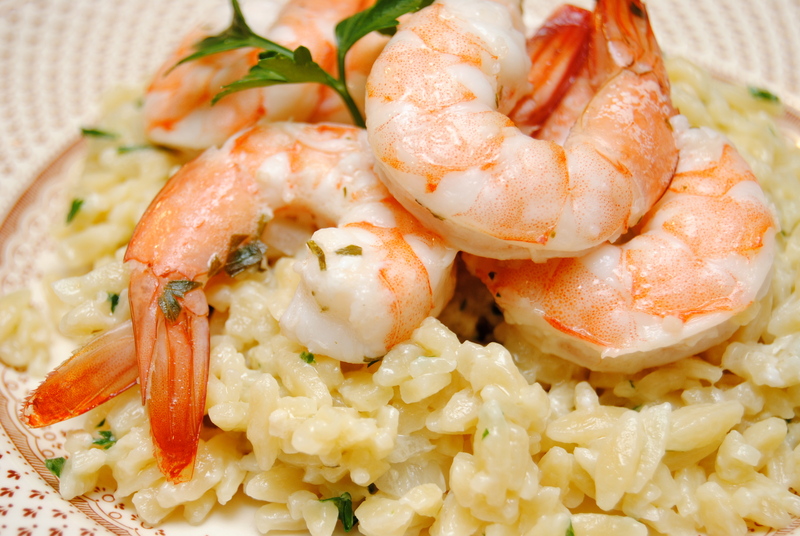 The rich and creaminess of the orzo went perfectly with the acidity of the shrimp. This will certainly be a repeat meal in this house! Hope you enjoy! 1.) Cook orzo according to the box. Drain, add back to a large pot and stir in olive oil. Set aside. 2.) In a medium saucepan, heat butter. Add garlic and onion and saute until onion is translucent. Add in milk and sour cream and heat just until warm. Pour over orzo. Stir in parmesan cheese, parsley, salt and pepper. 2.) In a saucepan, heat butter and add garlic. Saute for 1 to 2 minutes. Remove from heat. 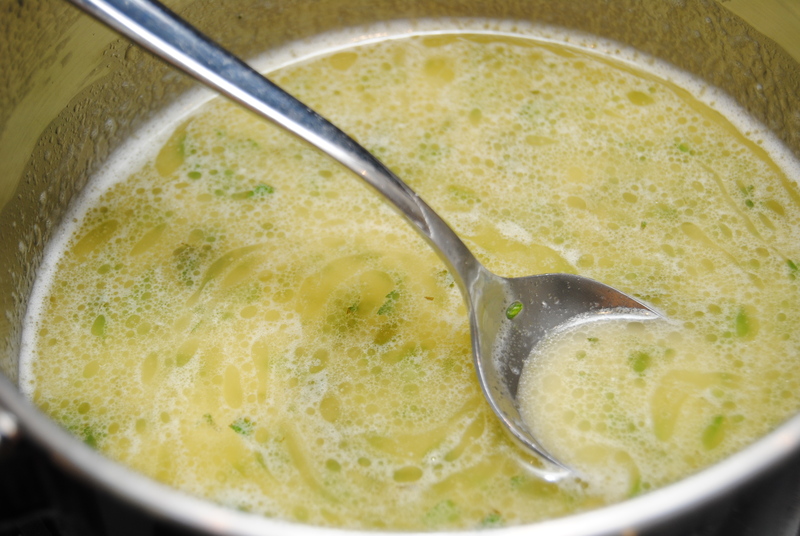 Stir in parsley, lemon juice, wine, salt and pepper. 3.) 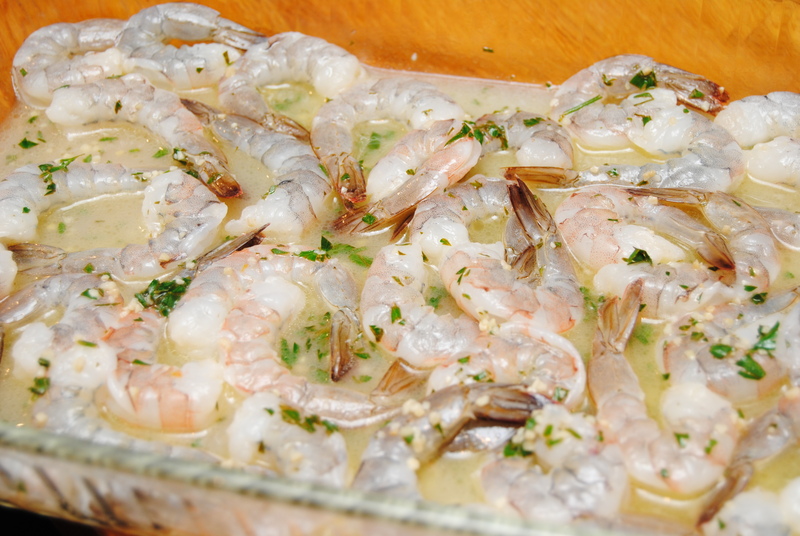 Add shrimp to a casserole dish. 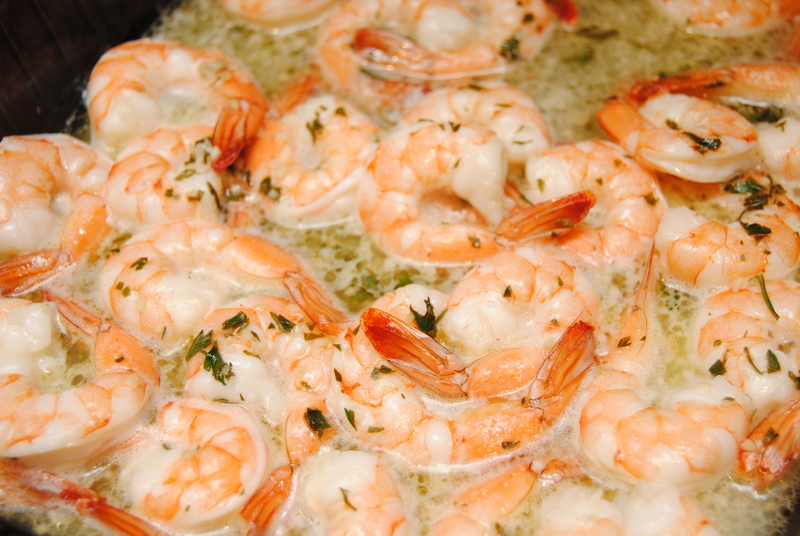 Pour butter/wine sauce over shrimp, stirring to ensure the shrimp is evenly coated. Arrange shrimp so they are in a single layer in the dish. 4.) Bake for 10 minutes. This entry was posted in Food and tagged Cooking, Dinner, Food, Kid-approved, Orzo, Parmesan, Risotto substitute, Shrimp, Shrimp Scampi, Weeknight meal by biscuitsncrazy. Bookmark the permalink.